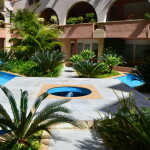 Dr.Hilu’s Clinic is located in the heart of Nueva Andalucía (Marbella), within the Magna Marbella housing development, far from urban noise pollution and bathed in an atmosphere of peace and tranquility. We focus on discovering the origin of every illness. For this purpose we make use of cellular medicine, a perfect tool to analyze said illnesses and to see, with only a drop of blood, up to 840 parameters of what is going on in the organism. Our aim is to eliminate diseases at their inception, including those diagnosed as chronic, effectively seeking to prevent their onset often with years of anticipation. 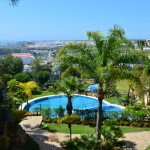 We are located in the unique environment that the city of Marbella offers, boasting a warm microclimate during the entire year, which is perfect for enjoying all kinds of sporting activities. The area benefits from the proximity of both sea and mountains, with access to sprawling gardens and a leisure harbor attracting high-end tourism. 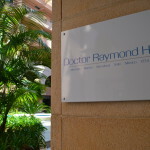 Dr. Raymond Hilu holds a degree in medicine and surgery, and is a specialist in cellular medicine. 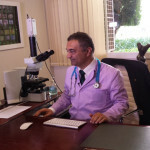 He is renowned nationally and internationally for his experience in research and cellular therapy. A highly professional medical team that complements his expertise perfectly supports him. 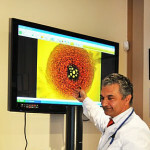 Moreover, the whole team has been trained in the field of biological medicine. His long experience and extensive track record of satisfied patients throughout the years, serve as a guarantee of results.